Abidjan metro: Here we go ! 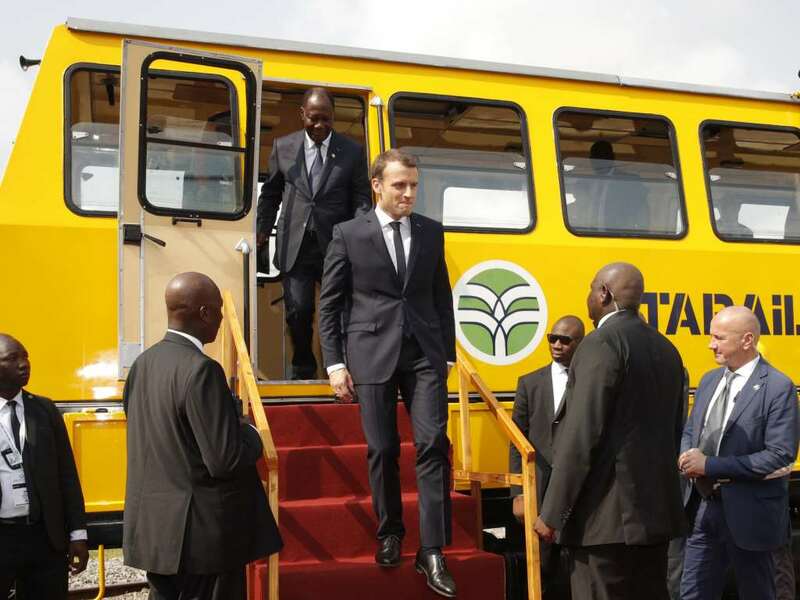 On November 30, the President of the Republic of Ivory Coast Alassane Ouattara and the French President Emmanuel Macron have launched Abidjan Metro at the Treichville station. This construction is expected to create more than 2,000 jobs and in the long term, the transport of nearly 300,000 people per day which should help to solve problems of traffic jams that strongly penalize the Ivorian economy. The estimated financing of around 920 billion CFA francs (1.4 billion euros) was fully financed by a French loan released in mid-July. This “surface” metro should be put into service in 2021 on a North-South axis passing through neighborhoods Abobo, Adjané, Treichville and Fort Bouët as well as the administrative and economic Plateau.The works will be executed by a consortium of Bouygues (civil engineering), Keolis (Exploitation) and Alstom (5 rolling stock).